The Encanto Municipal Golf Course wraps around the northern and western edges of this roughly 1/4 mile historic district, while beautiful Encanto Park cradles the neighborhood on the eastern edge. 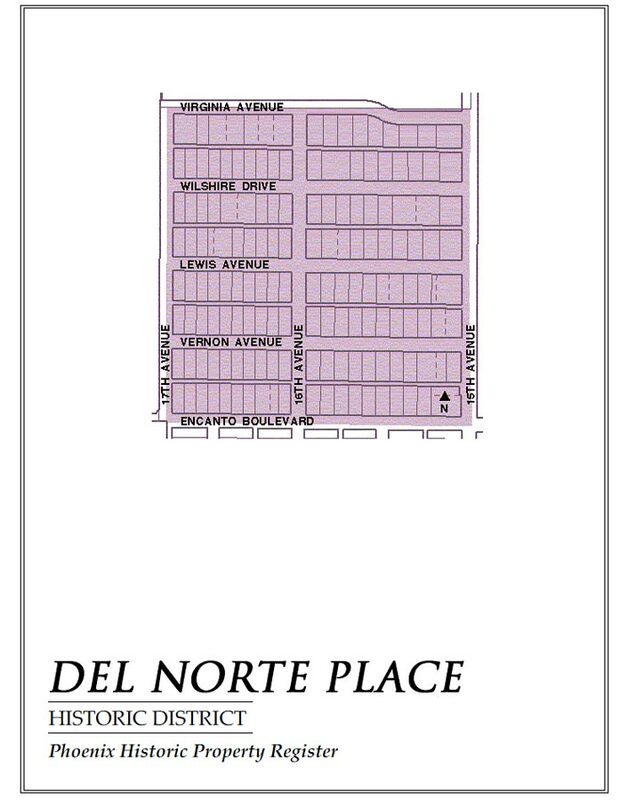 Ad agencies originally sold Del Norte Place as “the countryside west of town” when the subdivision was created back in 1927, and it still evokes a strong sense of “countryside” today. With a mix of 30s English Cottages and 40s Ranches, streets lined with deep grassy easements, mature trees, and a seeming lack of city traffic, Del Norte Place exudes serious charm and peace and quiet. We’d never go so far as saying that Del Norte is reminiscent of Mayberry (as Phoenix New Times did when it voted Del Norte Place the Best Historic Neighborhood in 2009), but must admit that it is hard to believe you’re in the 5th largest city in the U.S. when you’re in Del Norte Place. The homes in Del Norte Place average around 1500 square feet, usually with 3 bedrooms. Price-wise, the homes are on par with Willo—one of Phoenix’s most visible historic districts—while Del Norte’s neighbor Encanto-Palmcroft Historic District has some of the priciest historic homes in Phoenix. Golf anyone? Or how about a paddle boat ride on the lagoon to cool off during the summer months? Yup. 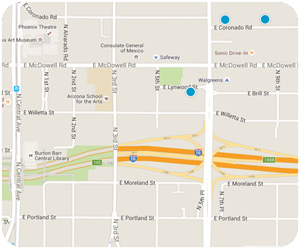 You can rent one in Encanto Park by the half-hour: 2605 N 15th Avenue.